I’m spending a few days at Holden Village. My husband is the director of the museum here, and I’ve been very involved since I was on volunteer staff for the first time in 1971. It’s a pretty amazing place. You can learn more about Holden at www.holdenvillage.org. Holden is the place where I first learned to appreciate the Inklings. This was the group of friends who, in mid-20th century Oxford, met together to talk literature, the myths of the North, and theology. They met once or twice a week at a pub named the Eagle and the Child – or the Bird and the Baby, as it was fondly known. You can visit this pub in St. Giles Street and see the plaque in the corner where they all met and smoked their pipes and talked. The most famous of the group, J. R. R. Tolkien, and C. S. Lewis, read chapters from their soon to be wildly popular The Hobbit and The Lord of the Rings Trilogy and The Chronicles of Narnia. I’d like to write about a couple of the lesser known members of their conversation group. 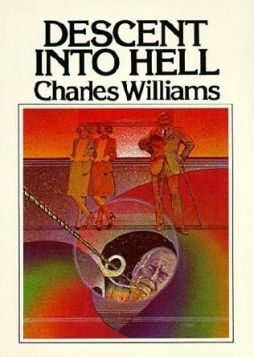 Charles Williams was an interesting, and somewhat eccentric, scholar, lexicographer, theologian, and novelist. He his best known for being one of the first editors of the modern edition of the Oxford English Dictionary. He was a curious intellect, looking for new perspectives and pathways from the ancient traditions of Christianity. He was keenly focused on love, especially romantic love, and looked for its manifestation in the fondational tenets of the faith. One of his keenest insights came from one verse in Paul’s letter to the Galatians: Bear one another’s burdens, and in this way you will fulfill the law of Christ. (Galatians 6:2) He wrote about this verse in many ways and kept coming back to it. He called it “the way of exchange” and saw it as fundamental to how Christians should live out their faith. Essentially, it means that if I have a task to do, that is mine. No one can do it for me. If I am anxious about that task, that anxiety is the burden I bear. But if I give that anxiety to you – through prayer, or thought, or the simple exchange of emotion – you can bear it because the task isn’t yours, hence the anxiety about the task isn’t yours. I saw this work in a remarkable way here at Holden Village in 1977. A member of the staff wanted to speak at Vespers, but she was so anxious about public speaking she often broke out in hives. Another member of the staff (who I’m sure was never anxious about anything) prayed with this young woman before her Vespers. The young woman didn’t even break out in a rash, but her friend broke out in hives! (I know. I was sitting next to her.) She had never had hives, and they disappeared again the minute the talk was complete. An amazing, and, I admit, extreme, example of the way of exchange. “And what about my self-respect,” she said.